Navigating the twists and turns of uncoupling in Utah. 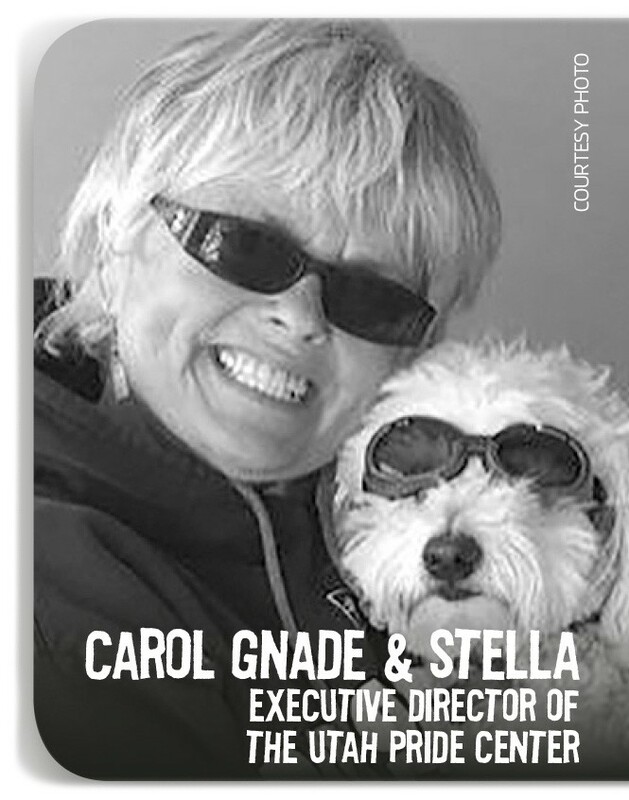 After her divorce became final in the fall of 2015, Carol Gnade was on her own. She had her memories of married life. And she still had her dog, an attentive labradoodle named Stella. She and her former wife were together for 19 years. "It's painful," Gnade says, "and there is no difference between the pain of losing a gay relationship and losing a heterosexual relationship. There are the same family issues, the same sadness and the same love." She met her wife at a fundraiser for Rocky Anderson when he was running for Congress. "We got together because we were like-minded politically, and we cared about each other and our families," she says. In 2003, they had a civil ceremony in Vermont and were married in New York City eight years later. "Before you get married," Gnade says, "you need to understand that there are all sorts of conditions you need to be prepared for—including the possibility of divorce." Gnade, the executive director of the Utah Pride Center, says that her marriage was simply not able to survive "some difficult things"—namely the death of her daughter due to cancer near the time of the split. "Whether you are gay or straight, going through the death of a child is almost impossible to comprehend and to get through as a couple," she says. Retirement also had a bearing on the story. "We knew how we were together as working people but could never really get settled into retirement. There was an underlying tug back and forth. She loved moving away and being in the desert, but Salt Lake City is my soul place, and I needed to get back here," Gnade says. She feels that her own divorce was probably less complicated than others. "We had good attorneys, and we wanted it to end so that we would remain friends," she says. Initially, opposing counsel wanted to only take into consideration the time when her marriage became legal in Utah (officially, on Oct. 6, 2014), even though they had been together 19 years. "But, then, we ended up settling, so we didn't have to push that." There's also the dog. "She is both of ours. When we split up, we knew immediately that we would share her. There is no finer companion." If one of them is going out of town, Stella stays at the other's house. While she doesn't foresee another relationship in her own future, she's seen many LGBT people who resolve their pain and move on to other partners. "Although I can't say I've met a lot of people who went through the marriage ceremony [yet], I've seen a lot of people who have been partners for a long time and [have] moved on and have been friends after," she says. Now that LGBT folks have "won the right to be like everyone else, they need to understand that marriage is a wonderful privilege that needs to be taken seriously, with all of the same responsibilities as a straight marriage," she says. "It's just been so painful," she continues. "You just want to get over it and get settled in your own life. I'm afraid of [feeling] that pain again." Gnade attributes several elements to her own post-divorce survival—her new job at the Pride center, reading Buddhist literature, good connections with the outside community and positive self-talk. What is their secret to remaining friends? "I don't think we're anything special," she says. "It's not a done deal. I'm not sure that story is over." It helps to be philosophical. "We were lucky to have a good relationship as long as we did," Gnade says. "But you don't walk away feeling good after a relationship that you have invested so much in. There is no winner. There is a hole in your heart." Salt Lake City attorney Lauren Barros says there are legal considerations unique to gay divorce and custody. "If, prior to their legal marriage, Jane and Jill had a civil union or a domestic partnership in another state," she says, "that would need to be dissolved in either the Utah divorce action or the state that issued the union or partnership." Determining whether a couple meets the requirement of common-law marriage prior to their solemnized marriage is another consideration, Barros says, in order to establish the marriage date to determine assets, debts and alimony. In Utah, alimony payments cannot exceed the duration of the marriage. "Partners generally split the retirement accrued during the marriage," she says. "If a couple has legally been married for two years, the spouse would only be entitled to 50 percent of the other spouse's retirement that accrued during that time. However, if they were calling each other "wife" or "husband" and taking on the duties of a marriage prior to their solemnized marriage, they may be able to establish a common-law marriage that reaches further back," Barros explains. Child custody is another crucial consideration. Although married couples can now get a birth certificate with the non-genetic mother or father listed as a parent, she still advises gay parents to seek a second-parent adoption. "If I marry a woman and we have a child, she would be the mother and list me as a parent on the birth certificate," Barros says. "But what if we go to Alabama or Mississippi or Wisconsin—or another country—and she dies? My parenthood would be a lot easier to prove if I have a court order." Barros observes that gay parents put a lot of thought into becoming parents. "Because they often have to use assisted reproduction," she says, "maybe they are a little more appreciative because they had to work harder to have a child. They are often older parents—a little more mature." Her clients have included gay parents who either adopt children or have a surrogate carry their child. "If they are female, they might use eggs from one spouse, utilize a sperm donor and create an embryo within the other spouse." She's also seen surrogacies where parties have a continuing relationship. The sperm donor might sign an agreement that he won't be the father—or the agreement might state that he may take a very active role in the future child's life. In other states, she has seen three-parent adoptions, where a lesbian couple and sperm donor are all considered parents. "Then the donor is no longer the donor—he is legally the father." Barros says an online divorce "that walks you through the steps" usually costs a few hundred dollars. "This is for people who agree on all terms and [who] don't need to pay lawyers." The next step would be to use the Legal Aid Society, which offers fees on a sliding scale. "Next would be consulting an attorney for an hour or two here or there on paperwork that you prepare," she says. "Beyond that, divorce cases where litigation is involved usually cost at least $2,000, and if the litigation is intense and goes to one or more trials, attorney fees can go as high as $200,000 per side." In his practice, Salt Lake City divorce attorney Eric Johnson says the cost of a divorce ranges between $6,000 and $10,000. "It's an average," he says. "Some cost a lot more and some cost less. 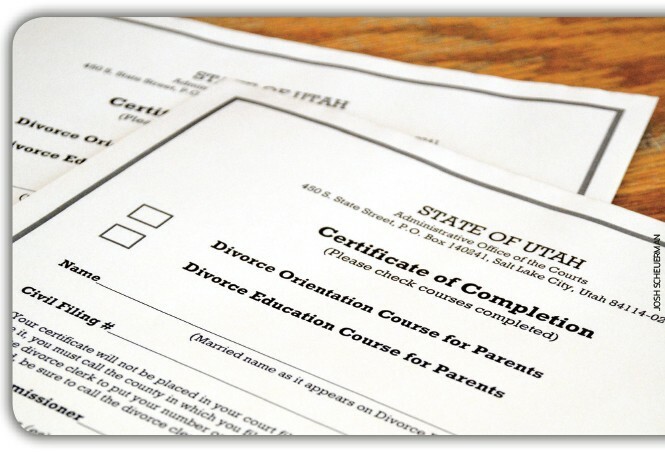 Eighty percent of Utah divorce cases settle—they might reach an agreement that they like, or they are emotionally or financially exhausted. 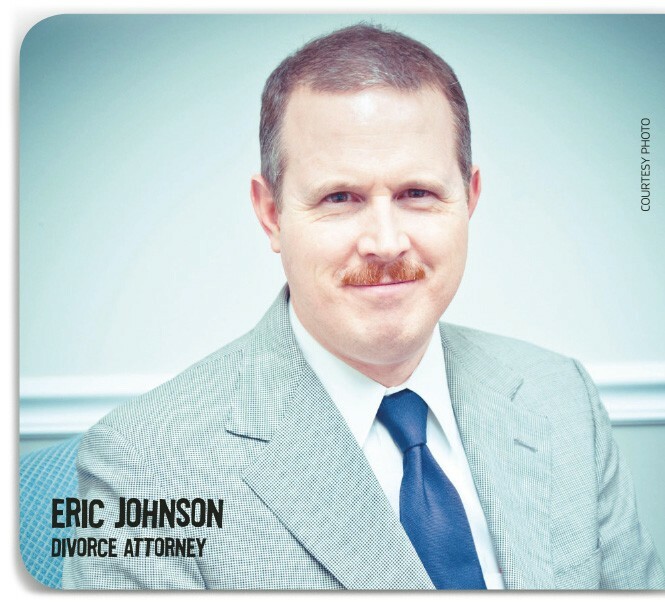 "The average cost of a litigated divorce is between $20,000 and $30,000," Johnson says. "If they are fighting over their kids, their house and alimony, it will cost a lot more than if all they are fighting over is who pays the debts." Kenna Orgill now has her second shot at a forever family. But she had only been married nine months when her first husband texted her at work to tell her he wanted a divorce. The night before, the couple had celebrated the Fourth of July with fireworks and a barbecue with her family. She was shocked and emotional after receiving his text. She called and begged him to come home to talk. She waited six hours before he came home. 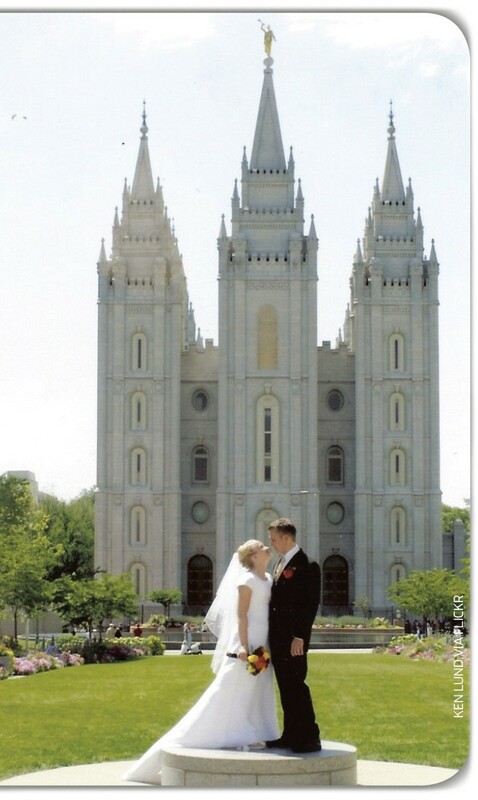 Theirs had been a Mormon Temple wedding. "I sat there, crying, begging, asking why he was doing this," Orgill recalls. "I told him a divorce wasn't justified, [that] we had made temple covenants. I told him this wasn't an overnight decision—it was something you earnestly prayed about and fasted over. Shattering an eternal marriage has its implications." She says he looked at her, started to laugh, and he told her, "This is obviously going to be a lot harder for you than it is for me." A family member came to pick her up and take her to the family home where she tried, unsuccessfully, to sleep through the worst night of her life. The next day, she told her husband she was praying for him as much as she was praying for herself. "This marriage is between you, me and the Lord," she recalls saying. She describes his manner as eerily casual as he told her he had made up his mind and was going to initiate divorce proceedings. Three months after he left, Kenna started a blog (Kenna-Hope.Blogspot.com) as a way of coping. She didn't think anyone would read it, yet, she soon received responses from Mormons across the nation who were also getting divorced. "I can't tell you how many emails I've gotten," she says. Why the fan base? "Mormons don't want to talk about their divorces. It's kind of a shameful thing in the Mormon culture," she says. "As a Mormon, you know how sacred it is and the covenants that you make. It is so much harder to get a divorce." She learned that divorce is often out of one spouse's control. "I would have done anything to save my marriage," she says. Her former husband remarried soon after leaving her. "At age 21, I didn't know how to deal with something like that." While most religions value marriage and almost all put high hopes into it, Mormons add an extra layer. "It's one of the major teachings of the LDS faith that marriage is not only the place to find the highest degree of happiness, but also to get to the highest kingdom of heaven," Marybeth Raynes, a licensed clinical social worker as well as a marriage and family therapist, says. But getting married means Mormons must date, and it's not just any kind of dating: It's preparing for an eternal mate who will beget a celestial family that will be together forever. Mormons dread remaining single for life or becoming divorced. They believe in happily ever after—literally. They pair off quickly with high school sweethearts, at schools like Brigham Young University or at church functions or LDS dances. The rush to marriage, however, doesn't always end happily in this life, let alone eternity. If a first marriage doesn't work out, or if Mormons aren't married by the age of 30, they will continue to hope for an eternally married future, says Jerry Harris, a retired marriage and family therapist formerly employed by LDS Social Services. "At a time when marriage is being questioned as never before," he says, "given the LDS emphasis on marriage, most of our young men and women are very desirous of finding what they feel is the right person to marry for time and eternity." If a Mormon couple marries in the LDS Temple, Mormons believe this union will continue after they die. The greatest challenge is finding the right partner for eternity. Eric Johnson, himself an LDS divorce attorney, says, "In the LDS faith, you can't be exalted without being married and [some people feel] pressure to marry even if you don't feel like getting married. People will say, 'I don't want to be a second-class citizen in the kingdom of God.'" While some criticize that Mormons marry too young, Johnson says that "too young" is not the same as "too hasty." And Johnson says Mormons tend to stick with a bad marriage longer than non-Mormons out of a sense of covenant commitment, fear of damnation or fear of missing out on eternal marriage. Johnson has seen occasional clients leave the LDS Church disillusioned following divorce. "They'll say, 'The church sold me a bill of goods, my marriage ended, and I don't believe it anymore. I did everything I was supposed to do, and God broke his promise," Johnson says. "That is one of the biggest tragedies—when I see them turn their back on their faith. Then they lose two things—both their marriage and their faith." But that wasn't the case for Kenna. Post-divorce, she said she hated dating, but she kept the faith. She even legally changed her middle name to Hope "because I needed that reminder," she says. 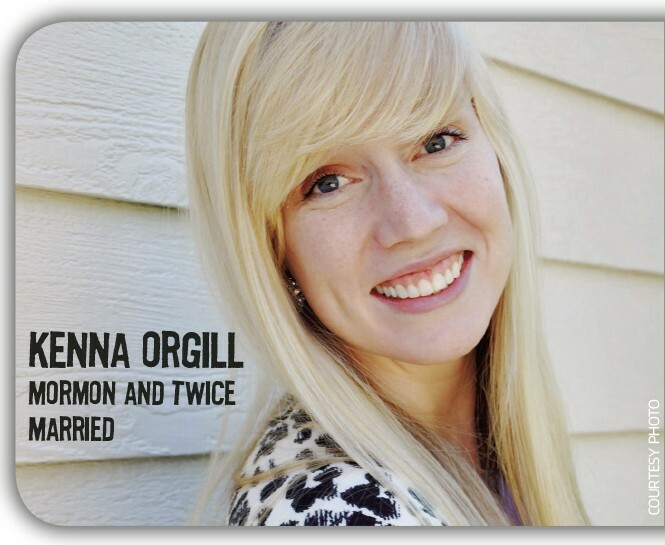 Months later, in her LDS singles ward, she caught sight of a man named Joseph Orgill, "I sensed that something was going to happen." After church, she returned to the home where she was then living with her parents. "I started to cry. I told them I had met this guy at church and didn't know why I was crying." The feeling was different, she says. And it gave her the courage to move forward. "Heavenly Father knew that if I was ever going to get married again, he would have to make it pretty clear," she said. A year after her first husband left her, she sought a temple divorce, or, "temple cancellation" as it is officially known. She and Joseph had dated for a few months by then and were planning to marry. When someone has been married in an LDS Temple, then goes through a civil divorce and later is ready to be sealed for all eternity to a new spouse, they need to request their previous temple sealing be canceled. Kenna followed the procedure requiring her to meet with her bishop and stake president and get a letter from them to submit to the Church's First Presidency. Applying and being approved for a temple-sealing cancellation may take anywhere from a few months to over a year. Cancellations are considered on a case-by-case basis. "Mine went through in four days. I know that isn't very common. My [ex-]husband was already remarried by then—that could have been part of that," Kenna says, adding that receiving her cancellation "was a huge weight off my shoulders." Now 24, Kenna married Joseph Orgill last year. She says, "It was definitely awkward to register (in a wedding registry) a second time and ask people to give me something twice. And some people might say it was tacky to make the second wedding big. But my parents and I were feeling such joy in knowing this was a good thing." Her first wedding was in the Salt Lake Temple, so she chose the Bountiful Temple the second time around. She's still blogging and hearing from people "who are in the thick of it," she says. "People try so hard to make it work," she says. "Divorce is such a fragile thing—there is no place to judge. You should never feel ashamed—but I did. Had I not gone through what I did, I wouldn't be who I am." A recent photo from her first anniversary depicts the happy couple smiling above a sign that says, "One year down. Forever to go." K.C. Eldridge was wrapping up his divorce. After being separated for almost three years, he and his wife were completing mediation. "Obviously, the process hurt, but it was so much better than going to court," Eldridge says. "I was able to focus on my important needs rather than the legal process." Because he is the father of a 16-year-old daughter and a 14-year-old son, Eldridge is one of thousands of Utahns who annually complete the state-mandated divorce-education classes for parents of minor children. In 1994, a law was passed requiring parents to attend the class prior to getting a divorce. The courses are designed help parents and children adjust to difficult divorce situations and to inform parents as to how conflict affects children and the family. In a January 2016 class, retired attorney Neal Gunnarson explained to an audience of about 60 soon-to-be-divorced parents at the Matheson Courthouse that the two classes—a one-hour Divorce Orientation Class and a two-hour Divorce Education Class for Parents, held consecutively—are not designed to talk them out of getting divorced. That choice is up to you," he says. Gunnarson is animated, articulate and easy to understand. The situations he portrays are relatable, and the attendees are obviously engaged. He is describing primal stuff—how to survive losing the relationship that once defined your life, and how to enrich your children's future now that you are no longer a couple. Marriages likely have three stages, he says: the honeymoon phase, which he "hopes they all find again," the second stage—which could be termed as buyer's remorse—and the third stage, reality and commitment. In this third stage, Gunnarson says, a couple's thoughts might be, "This isn't what I expected, but we still love each other; we still have romance and we are going to make it work." But, he says, sometimes, that commitment fades and the result is divorce. "When people are getting divorced, an early question is, 'How will this divorce affect my child?'" He urges parents to "cocoon" their child. "Don't get your child involved in your divorce," he cautions, advising them not to be vindictive. "Don't say 'I'm going to win,' because if I win, you lose. Once you get into that mode, you will never reach an agreement. Say: 'Sweetheart, the only thing you need to know is that your mom and dad love you.'" Gunnarson tells attendees that the class is designed to prepare them for their next relationship, and says that within two years, 70 percent of them will be remarried and 20 percent will be in a committed relationship. The likelihood of their becoming a step-parent is very high. He says that the class is created to help newly single people in the "trough"—the time between the two relationships—to prepare for their next relationship. He adds that the trough is a time for newly divorced people to get their balance and resolve questions about what went wrong in the marriage. "It can take a little time and headwork to move into a new relationship," he says. Valerie Hale instructs a divorce education for parents class. A clinical psychologist in Salt Lake City who specializes in high-conflict divorce and child custody, Hale conducted custody evaluations for 20 years. "When we marry, we are trying to grow ourselves up. Your former spouse might have things that you may not know how to do or be, and you might have things that they don't know how to do or be," Hale tells the class. "You pull each other up. Maybe you are the financial one and he is the organized one. You have grown together and when you come apart, it is painful." Because separation is so prevalent, she says, it seems like it wouldn't be so bad to get a divorce, but it's actually the second most traumatic thing a person can experience, after the death of a child. Death of a spouse is third. "You are breaking a deep and complicated relationship and still walking around with no closure," she says. Emphasizing the importance of co-parenting, she says, "There is one other person who loves your kids as much as you—it's that co-parent who hurt you so much. When you text each other, keep the messages short and professional with not a lot of emotion." Kids need a grown-up during a divorce. They have radar for grown-ups and migrate to people who help them feel safe and secure. "If you become depressed and have thoughts of suicide, you don't get to kill yourself," Hale says. "Is that what you want to model for your kids? There is a risk that the kid will decide that is acceptable," she cautions. The parents' new relationships create new problems. "New partners are tough on kids because they are new," Hale says. "The child will think, 'My dad loves her, and she's here,' and the kid is going to try to find a way to attach to her. "But if that relationship breaks up," Hale says, "the kid has to cope with another broken attachment. Keep doing that, and he is not going to attach." Another issue comes up when a divorcing parent wants to relocate. In most circumstances, she says, children do best when they have frequent access to both parents in an atmosphere of low conflict. "It's nice if you can live relatively closely, but not go to the same grocery store, the same LDS ward or the same bank. If you have a good child-care center, don't change it." Ironically, the class that promotes fence-mending between divorcing parents for the sake of the children is now embroiled in a conflict of its own. Elizabeth Hickey is a social worker, mediator and former child-custody evaluator for the courts. She was instrumental in getting legislation passed in 1994 for the mandatory divorce-education classes throughout the state. She currently has a contract with the courts to conduct the divorce-education classes in Salt Lake and Utah counties. But if the Utah Legislature has its way, and the governor concurs, the in-person classes will soon be going away in favor of online classes. Promoting the change from in-person to online classes is Rep. Carol Spackman Moss, D-Salt Lake City, who is sponsoring House Bill 66, with Sen. Lyle Hillyard, R-Logan, as co-sponsor in the Senate. 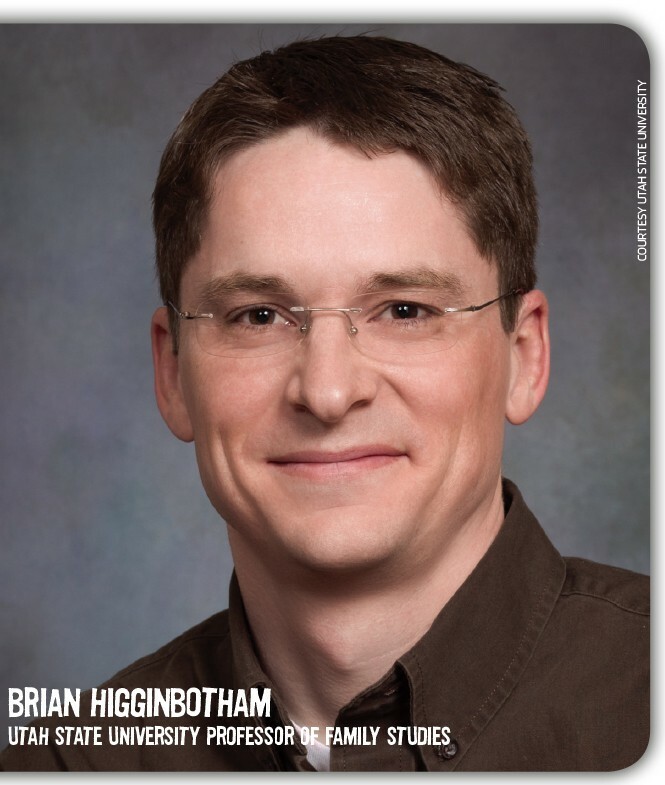 Hickey says that the reason HB66 exists is due to Brian Higginbotham, a professor from Utah State University, who serves with Moss on the governor-appointed 17-member Utah Marriage Commission. Hickey points to minutes from a March 6, 2015, meeting of the House Law Enforcement and Criminal Justice Committee, when she says Moss "became flustered when she could not answer many questions about the classes. She then announced how she did not think up this bill by herself; a USU professor came to her and gave her the idea for it." Moss says the genesis of the bill was more than Higginbotham simply "giving her the idea." Many others discussed the issue and contributed to Moss' conviction to sponsor the bill. "We've heard from many people that it is a hardship [to attend in person]," Moss says. "It is offered two nights per week and Saturdays in the major cities—not all over the state," she says. "A lot of people didn't like hearing people sharing their horror stories and saw it as kind of a punitive thing," Moss says. "Online, we could have actors showing, 'This is the way to talk to kids.' We've looked at research showing that this is equally effective." Besides, Moss says, the online class would just be another option—people could still attend in person. Both sides see money as the opposing side's motivation. 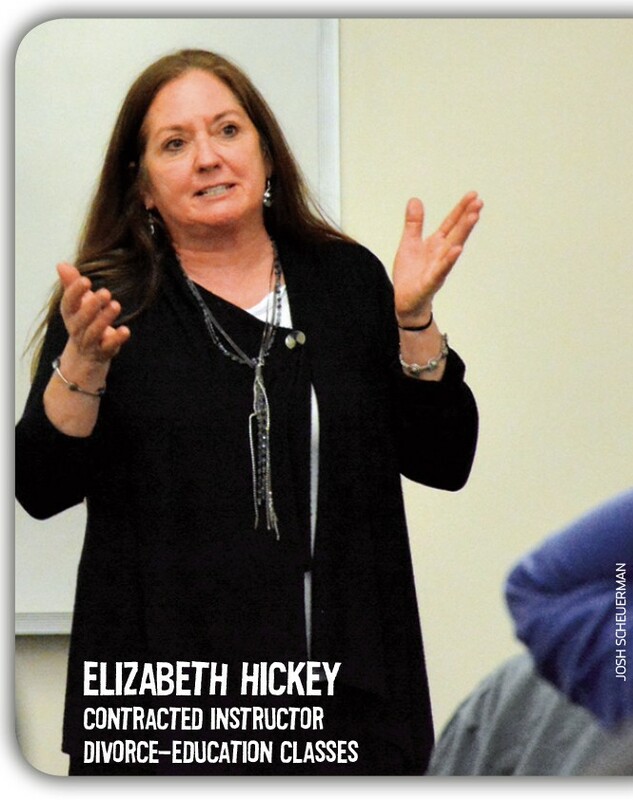 Hickey claims that Higginbotham wants to bring the online classes to USU to offer as extension courses, which would bring substantial revenue to USU, while Moss feels Hickey is just trying to protect her contracts and income from in-person classes. Moss says Hickey and other class instructors "don't like the online option because it takes business away from them." Moss insists that Higginbotham "would not make a dime from the class personally. He has nothing to gain from it financially—he would only be asked to develop it. He is asked to create extension courses all the time." When asked about the conflict, Higginbotham says, "This is a decision that shouldn't be about the finances of the providers. The people going through the divorce aren't worried about the providers—they are worried about how they are going to get this class done. In states that are already doing this, they are finding comparable outcomes." Hickey is worried that the intent of the classes will be defeated if attendees opt to take the class online. She's concerned that parents will miss out on the emotional breakthroughs that frequently occur when they delve into their issues in the classroom setting. "Divorce is a highly emotional and stressful experience," Hickey says. "The group setting of an experienced teacher who can fully engage a parent in the emotions of divorce has the greatest chance of promoting healing, behavioral changes and motivation for cooperation." Furthermore, without being required to attend in person, Hickey fears that parents will search for ways to avoid taking the class altogether. "We have already seen evidence that the parents have found ways to have others—including their own teenage children—take the Online Divorce Orientation," she says. One father told Hickey he was considering suicide as a form of revenge against his ex-spouse before he went to the class, but changed his mind after he came to understand the possible impact on his children. 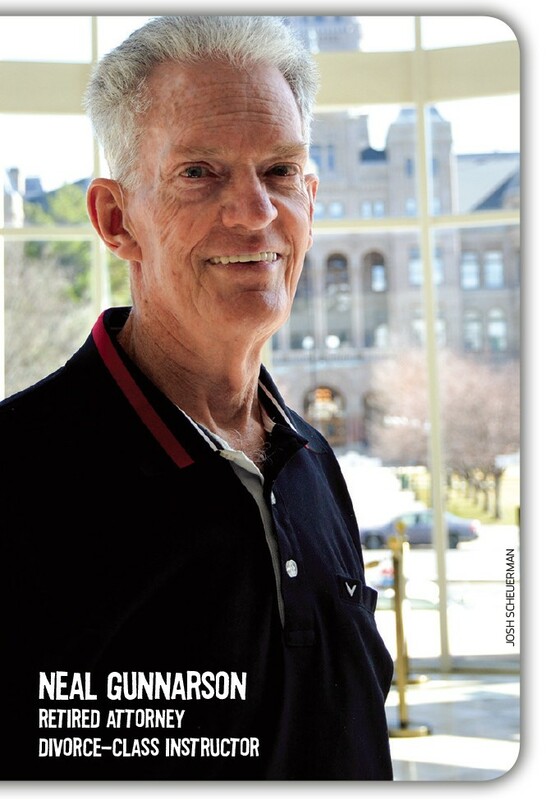 Russell Minas, recognized in 2013 as the Utah State Bar Family Attorney of the Year, attended the divorce-education class as an observer this past January and was impressed. "There were perhaps 60 to 70 people in attendance. The participants learned from many different perspectives, and the class was tailored to the attendees," he says. "And as much of a tech geek I consider myself to be," Minas says, "I don't believe the quality of the experience can be replicated online or that the information can be conveyed as effectively. This is one instance where I think that just because we now have the technology, that that doesn't mean it's a better option." K.C. Eldridge and his wife have completed mediation and are now waiting on their divorce decree to be finalized. "When we first separated," Eldridge says, "I had a hard time connecting with what my kids were going through. The divorce-education class gave me a better understanding of why they are struggling." Ann Kimball's divorce had its rocky moments. In the middle of her divorce proceedings, her attorney died of cancer. When she first heard that the divorce-education class was a legal requirement, she was annoyed. "I thought, 'It's one more thing I have to do.' Surprisingly, I was so impressed that I actually wished there were more classes I could take," she says. "You can get firsthand, in-person answers from an attorney and a therapist, and it's only $35, rather than hundreds of dollars." She adds, "During that time, when my biggest concern was how it would affect my son, I could go and have experts give me advice. Their motivation was just to help my child and make sure I got the best outcome." She feels strongly that the in-person format is best. "The hard reality is that when your decisions could affect the one thing that matters most to you—your child. You want to be sitting in front of a real live person who can give you an answer—you don't want to type in a search button."